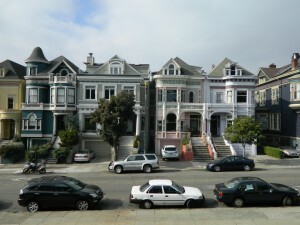 I just got back from the NAR Realtor Conference in San Francisco last week. The conference was good; the city was great. 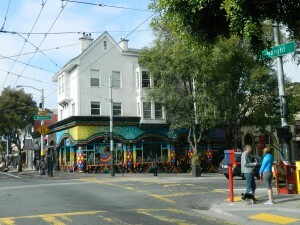 Here are the Top 10 Tidbits I picked up about San Francisco. Number of people: 1.34 million. Number of stop signs: trillions…there are stop signs on all 4 corners of every street! Going across town is inch by inch. The city’s major source of income: Tickets and fees from tourists. Parking without turning wheels against the curb is $58. Getting lost and going over bridge unwittingly is $5 toll, plus of course $5 to get back. Oh well, I don’t mind contributing to the city. There are no gas stations in the City…none. (Unless they were disguised as eucalyptus trees; there were plenty of those.) I just let the rental car company have their way with me when I brought the car back empty. There are no ugly or fat women in the city. They are all fit & slim. They all wear stretchy black tights and walk everywhere. There were a lot of buses though…maybe the non-fit, non-attractive are hidden in the buses? Walking uphill is better than downhill. It seems counter-intuitive, but downhill kills your shins. I saw lots of wheelchairs. Going downhill seems easy enough, but I have no clue how they get back up the street. Smart Cars: This is the only city in this country where they make sense. Tiny streets, tiny parking places, tiny slim people. They look silly in our petro city; but Smart Cars are okay there. Bravest people: the bicyclists and lane-splitting motorcyclists are crazy. However, getting run over seems to be a commonplace event. 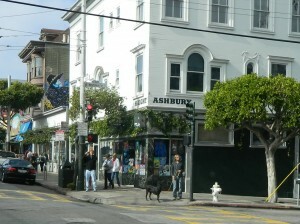 Haight Ashbury is still there. Some of the original old shop owners have been there since the 60’s. 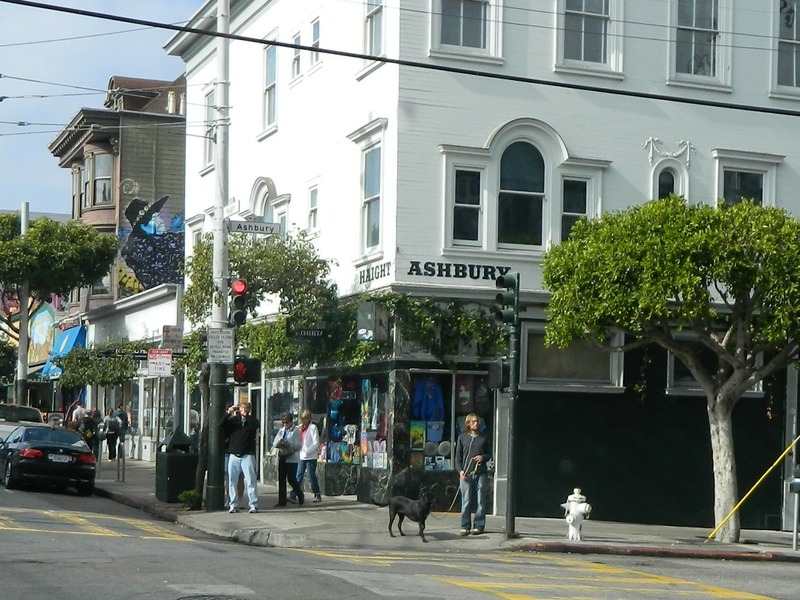 The music in the streets, the smell of incense and weed…like going back in time. 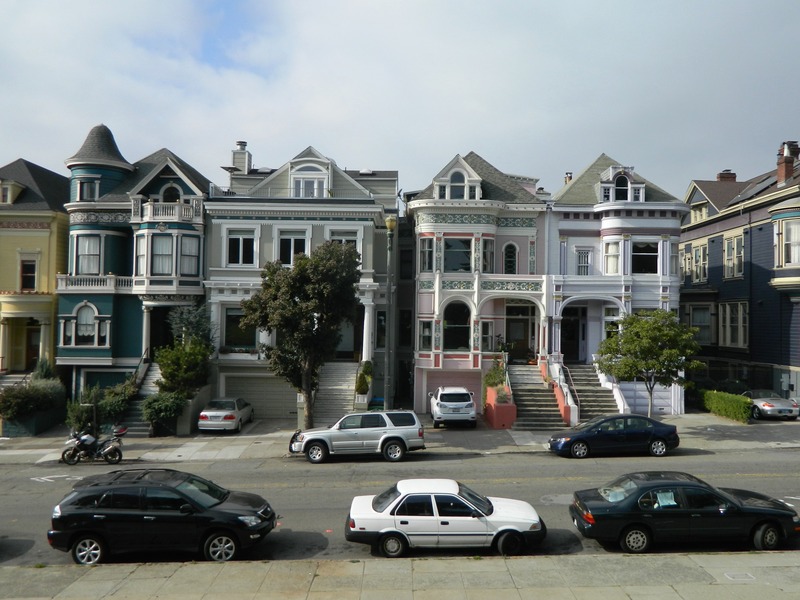 Painted ladies: they too are still there. They are not what you think. That’s it…my Top 10 Tidbits of San Francisco.